We’ve heard it all before, “breakfast is the most important meal of the day”. Throughout our childhood we were encouraged to start our day with something to eat. But now many of us are guilty of skipping a healthy breakfast in favour of an extra 10 minutes in bed or an extra strong coffee. So why is early morning eating so important for us? There’s a reason why breakfast is called what it is. 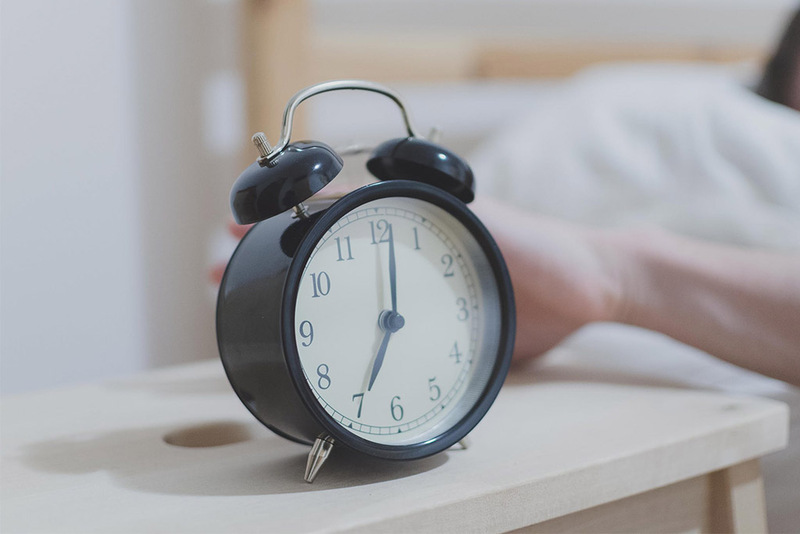 When you sleep, your body is busy working to restore the cells in your body ready for the next day. It gets all the energy for this from the food you’ve eaten the day before, so when you wake up, your body needs to replace these important nutrients. 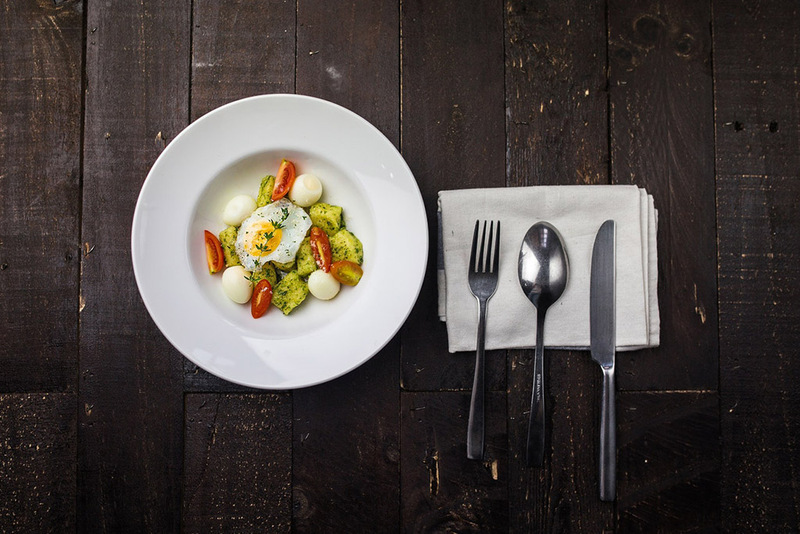 When your body feels it is starting to run low on energy from food, it will begin to store any remaining food as fat reserves to use for energy in case of emergency. When you eat in the morning, you are breaking this cycle and your body realises you’re not fasting and it doesn’t need to store up energy for future use. This kick starts your metabolism and means your body can process food properly throughout the rest of the day. Have you ever woken up and still felt like you’re half asleep? It’s probably because you are! Sleep isn’t the only important element in preparing our minds for the waking day. Breakfast gives your mind the kick start it requires to get going and resume normal cognitive function. Carbohydrates in breakfast foods restore important glucose levels in our body, which help to improve our concentration and memory levels. We sleep at night to get energy, so it makes sense to compliment this further by eating breakfast to really give us the best start for the day ahead. When our body digests food, it is converted to glucose which gives us energy. Skipping breakfast will therefore leave us feeling sluggish throughout the morning and more likely to reach for endless cups of coffee. Slow energy releasing foods like cereals and bananas are perfect for breakfast to keep you going until lunchtime when you can refuel. Whilst it might sound like a contradictory statement, eating more encourages you to eat less. By starting the day with a good breakfast, you’re less likely to feel starving at lunchtime. Not only will this make you eat less but you’re also more likely to make healthier decisions when it comes to food. Hunger encourages cravings – often which are for sugary snacks. Blood glucose levels dip when you experience prolonged periods without food. This results in your body craving sugary snacks and encourages binge eating to quickly satisfy the need for sugar. 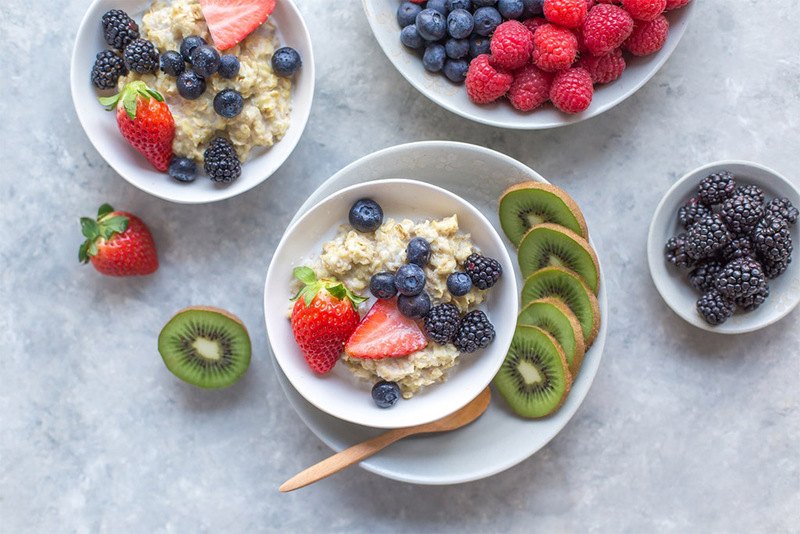 So you’re converted – you want to start eating breakfast but don’t know where to begin… It’s no surprise that the best kind of breakfast is a healthy one. Sadly greasy fry ups and pancakes with maple syrup aren’t going to be a healthy start to your day – in fact, eating an unhealthy breakfast is worse for you than skipping the meal altogether. Healthy eating doesn’t have to be boring though. There are plenty of nutritious breakfast options available. Why not give something new a try? Eggs are packed full of vitamins– A, B5, B12, B2, B6, D, E and K to just name a few! These vitamins help out your body in a range of different ways including cell development, strengthening bones and teeth, maintaining muscle and keeping your skin healthy. Eggs are also incredibly versatile. So whether you like them boiled, scrambled or poached, you have plenty of tasty options. Oatmeal is a good option if you want a healthy breakfast food that’s going to keep you going. As well as containing plenty of protein, it’s also a good source of your daily minerals and has both soluble and insoluble fibre. Soluble fibres help to stabilise glucose levels in your blood and lower your cholesterol levels, whilst insoluble fibres improve your intestinal health. Sometimes you wake up without much of an appetite and forcing yourself to eat something can be a real struggle. Greek yoghurt contains less sugar than regular yoghurts whilst still containing as many nutritional benefits. The calcium it provides is especially important for bone and teeth health and the protein helps improve the metabolism meaning that your body will burn the calories quicker. Many berries are classed as superfoods as they’re packed full of essential nutrients and are really good for you. Berries such as strawberries, raspberries, blueberries and blackberries make a tasty healthy breakfast snack. However, for the most nutritious value, avoid throwing them into the blender and making yourself a smoothie though. Fruits release sugars when they’re blended, meaning that a simple raw fruit salad is a much healthier option than a sugary smoothie, despite having the same ingredients. If you find it hard to include fruit in your diet, why not try mixing them in. Add some berries to your yoghurt or oatmeal to combine two healthy breakfast options to make a tasty meal. If you need something quick to eat on the go, why not grab a piece of fruit instead of reaching for a sugary cereal bar. Oranges are a great source of vitamin C, which plays an important role in keeping your immune system healthy. Bananas contain potassium which is good for keeping your blood pressure low. They don’t say that an apple a day keeps the doctor away for nothing, apples (as well as oranges) lower the cholesterol levels in your blood. High cholesterol has been linked to serious health conditions including heart attacks and strokes.